A four-player battle arena action game. The untitled Kirby multiplayer action game for 3DS first teased in April is titled Kirby: Battle Royale and will launch on January 19, Nintendo announced. Kirby is about to enter a tournament against his toughest rival yet…himself! 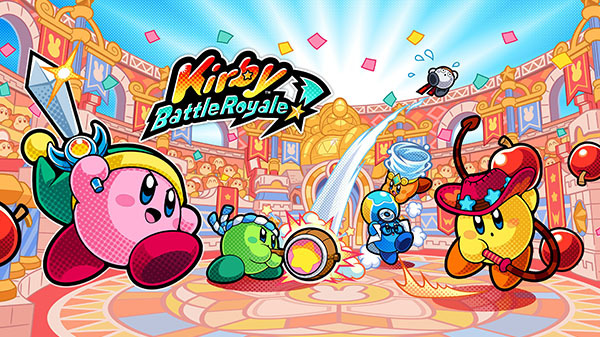 In local or online battle arenas, up to four players can fight until the last Kirby standing wins in Kirby: Battle Royale, coming to the Nintendo 3DS family of systems in 2018!